This past weekend Keith and I broke out a five-gallon bucket of blue paint we have had sitting around for the last four years. We originally bought it to paint the living room, dining room, and kitchen in our first house and ended up having close to three gallons left over. It was such a tiny little cracker box of a house and I guess we way over-estimated how much paint we would need. So choosing a color for the nursery became very easy! 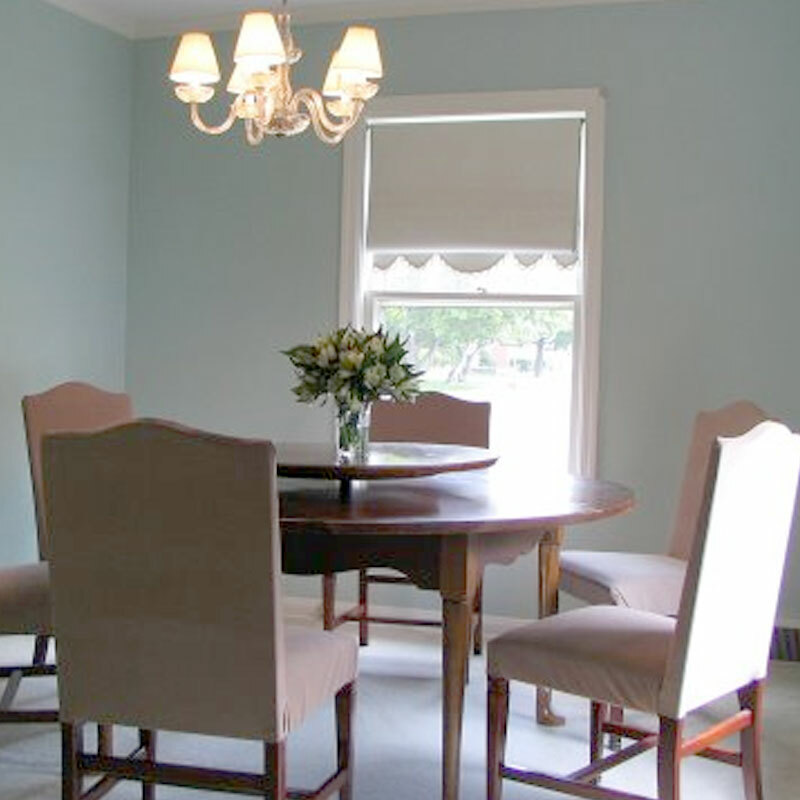 Here is the nursery color in the dining room of our first house. I started adding the infamous lucite hardware, but ran out of screws the right size, so we'll have to make a quick trip to the store before finishing this project. Here you can see both the wall color and the dresser color. It's definitely a bright yellow, but it makes the room so cheery! 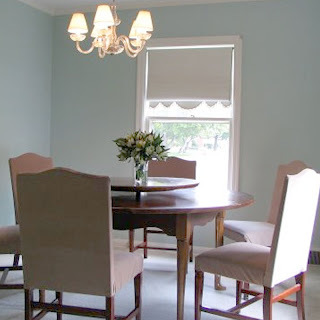 Next up: sprucing up the vintage chandelier I found on ebay! *This dresser is undergoing another face-lift, thanks to your honest (and spot-on) feedback. I've changed out the hardware and am working on a paint technique to give it a little more depth. Looks great so far! Love the way those two colors play off of each other. Very cheery for sure! It looks awesome! 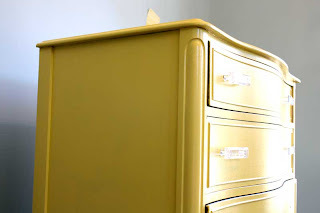 I am so in love with the yellow dresser. I think that color and that particular dresser were meant to be. I can't wait to see more! Super cute! I'm a sucker for yellow furniture. It's looking just great! 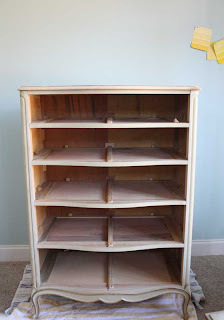 We have almost the exact same dresser in my nursery painted cream-- it was a thrift find years ago. I LOVE THE YELLOW DRESSER. I'm sorry for yelling at you, but I'm dying over it. 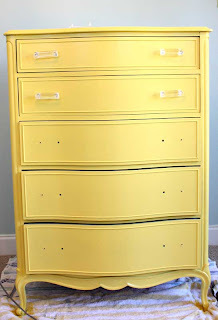 If I ever have a child, I feel like I would be doing him/her a disservice by not having a yellow dresser. And, I will let him/her know that Britt gave me the idea. love it! 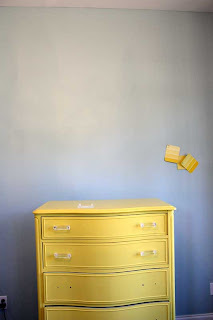 i am thinking about painting my bedroom dresser yellow... what paint color did you use?